A week ago, the citizens of Dubai witnessed the first test flight of the first drone taxi. 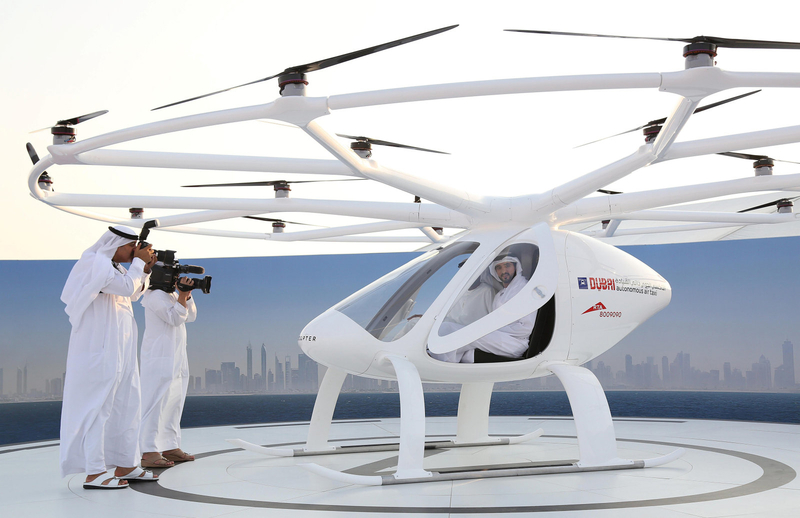 In doing so, they laid the foundation of development of the first drone taxi service in UAE. The prime objective of this plan is to lead the country in innovation. Previously there were made lots of talks, regarding the development of the drone taxi service. Nevertheless, today they are going to transform this service from the development stage to reality. 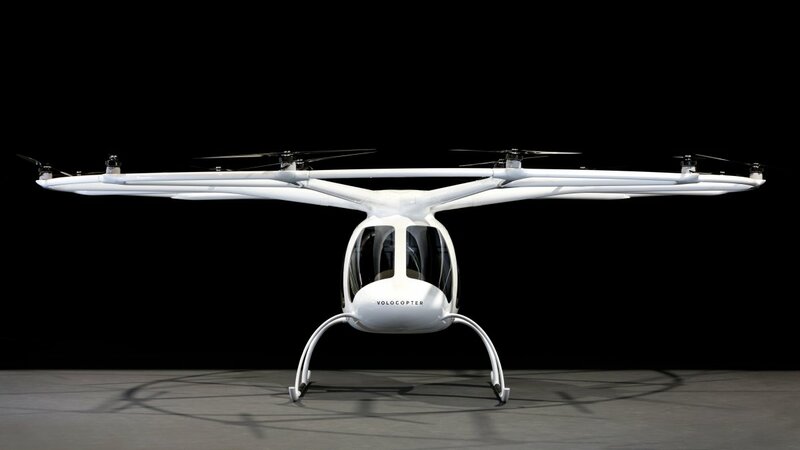 The first flying taxi, which was used, was developed by a well-known German drone company Volocopter. This is a small helicopter which comprises two passengers. It is topped by a wide hoop studded with 18 propellers. Its first run happened during a ceremony arranged for Dubai Crown Prince Sheikh Hamdan bin Mohammed. Volocopter isn’t the only company, offering the new mode of transport. Today, Volocopter is in competition with many other European and American companies, specializing in the development of a similar product. Every company offers its own science fiction-inspired vision of the new urban transport. Aerospace giant Airbus. Its overarching goal is to put a self-piloting taxi in the air by 2020. Kitty Hawk . This company is supported by Google co-founder Larry Page. This company is working on the development of their own flying taxi strategy. 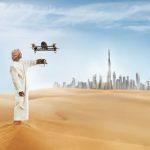 Yet still, Dubai’s authority considers Volocopter to be the best solution because users can order a Volocopter taxi through the use of a special application, which can be installed on any smartphone. 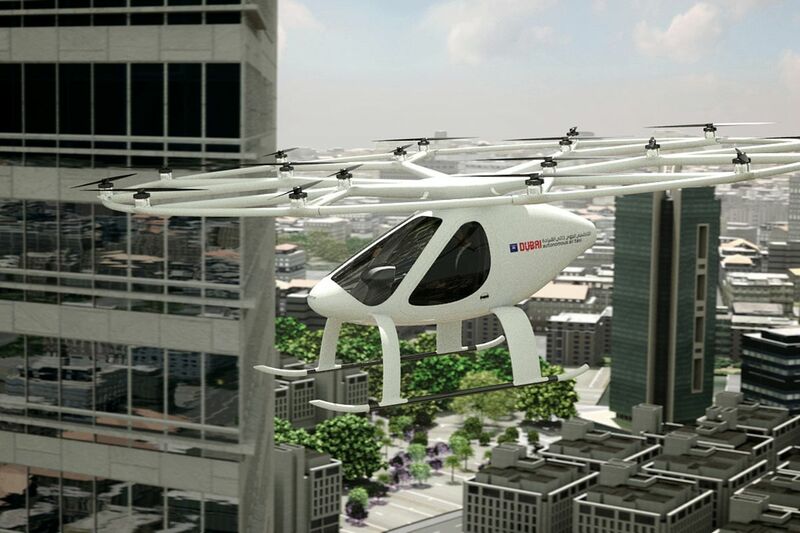 A Volocopter taxi will take you at the nearest voloport. It will come and automatically pick you up and will help you get to the place you want, avoiding traffic jams. It can fly, basing on GPS tracks. Besides, the developers promise to add the new full sense capability which will allow a drone taxi to deal with unknown obstacles on the way. During the test flight, the device was in the flight for around 5 minutes and hovered upward about 200 meters. UAE is going to distinguish itself to be a country of a forward-looking and high-tech society. Today, the scientists of this country are developing the new project, allowing them to send an unmanned probe to Mars by 2021. This is going to be the first Arab world’s mission to space. Besides, it is worth noting that Dubai introduced the first driverless metro and robot policemen prototypes. Sheikh Hamdan also confessed that adopting the new technologies that influence the development of the country will allow them to build bridges in the future.